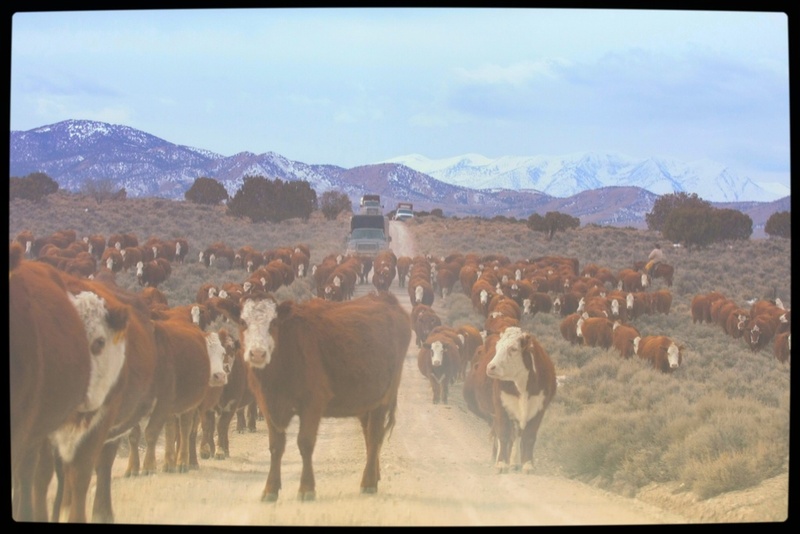 Some 250 million acres of public lands are grazed by domestic livestock including those administered by the Forest Service and the Bureau of Land Management, as well as national wildlife refuges and even some national park units. This use is not benign. Livestock pollutes public waters with their waste. Livestock compact soils reducing water infiltration. Their hooves break up biocrusts which hold the soil together and reduce wind erosion. They spread diseases to wildlife, for instance, pneumonia to bighorn sheep. They spread weeds. They eat forage that might otherwise support native herbivores from ground squirrels to elk. They socially displace native animals like elk from the best lands. We kill predators like wolves, cougars, bears, and coyotes to facilitate livestock operations. Fences on public lands block wildlife migrations and serve lookout posts for avian predators that prey on sage grouse and other endangered species. However, there is one mechanism that has the potential to free our public lands of the livestock yoke—livestock grazing permit retirement. READ THE REST OF THIS ARTICLE HERE. Agree! Why should my tax dollars go to subsidize the private $$$ livestock producer on MY land when we already know these livestock are a non-native species which cause extreme water pollution and massive air pollution on a daily basis. Plus, why should I be forced to add $$$ to the Simplot and Hilton and other mega corporations – especially when I have no use for their products? If this is a way to stop it, let’s go! When I called about leasing public land no one called me back! I guess my name was not among those in the livestock industry! It’s so far out of control it’s pathetic! Gail, you can’t just call in and apply for a lease, but have to pay attention to when leases are up for bid (mostly energy extraction etc.) and then go through the hoops to become a registered bidder. See the history of Tim DeChristopher for an eye-opening education. It’s also legal truth that grazing permits were originally and intentionally connected with existing landowners’ properties, and anyone that has a lease (term typically 10 years) always has first rights to renew, so these end up becoming part of the family or corporate portfolios, which are also directly connected with mortgages and the financial industry. While the BLM/USFS can modify, revoke, or rescind grazing permits, they mostly modify and rarely prosecute violations. It is grossly unfair that they freely reduce, fragment, then empty out legal wild horse areas more or less at their own discretion, to the tune (so far) of over 20 million acres they were originally guaranteed as legal homelands. Today the areas left to our wild horses and burros is ~12% of all the lands upon which privately owned livestock graze by permit (and shrinking) while to my knowledge on all or nearly all these they are placed in conflict with livestock for limited forage by our paid professional managers. It’s hard not to see this as an intentional plan to fail, with failure meaning de facto extinction of wild horses in the wild, on America’s public lands. There are numerous better ideas circulating which are systematically ignored by those who could make this system more equitable. The only way I see this can change is if enough of the public wakes up and agitates with elected officials to take action, as Wild Horse Annie once did. Congress will not act without significant public outcry, and truthfully our public lands and their inhabitants are low on their list of priorities. We can change that but need more cohesive and expansive efforts than we have today. I remain hopeful this is possible.